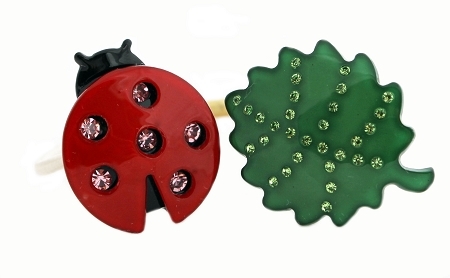 We certainly would need our sunglasses for these ladybugs. Made of acrylic with Swarovski crystals. Band 4" long. 1" circles.